Trying to find the most beautiful diamond within your budget can be frustrating and confusing. How do you ever know if you’re getting the best value for your budget? Can you be sure that the stone was ethically sourced? Take a deep breath. We’re about to make your life a whole lot simpler. At Forever Artisans, we mostly use Contemporary Nexus Diamonds in our custom designs. These are man-made diamond alternative gemstones that almost perfectly replicate a flawless diamond. And because they’re made in the US, we can guarantee they are ethical and eco-conscious. 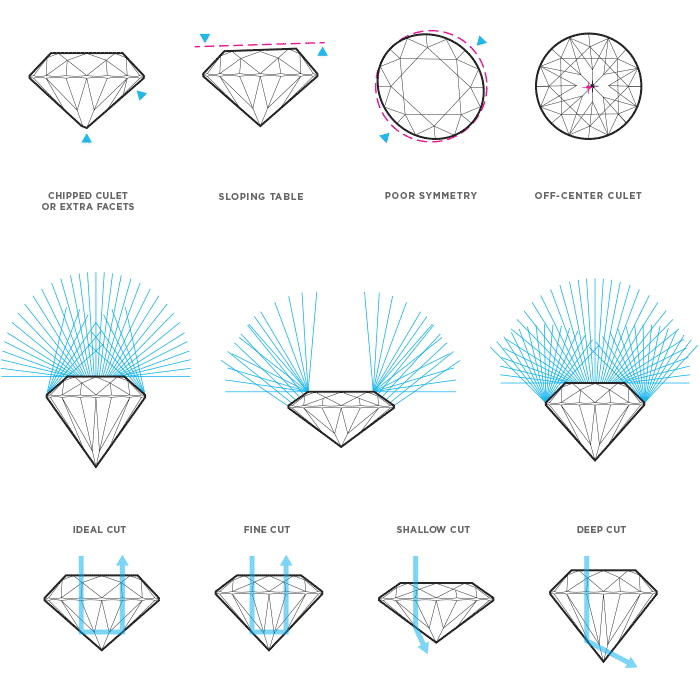 The cut of the diamond is one of the most important facets of choosing a stone because it has the biggest impact on how sparkly the stone appears. All Contemporary Nexus Diamonds are cut to Ideal Standards—proven to produce the most fire and brilliance. In the mined stone world, less than five percent meet these standards. Just as it sounds, color refers to how much color a diamond contains. This ranges from absolutely clear—known as colorless—to stones that are gray or muddy-looking. The most preferred color is completely colorless (D color). All Nexus Diamonds are completely colorless and rated as D color. The clarity of a diamond refers to flaws and imperfections. These can include internal inclusions and external imperfections, ranging from flawless (having no inclusions or imperfections) to included (having flaws that are noticeable to the naked eye). Every Nexus Diamond is IF rated: That means it’s internally flawless. The fourth "c" stands for carat weight. This is simply the size of your stone. Choosing carat weight is the fun part because - along with the shape of the stone - it has the most impact on the look of your design. Our designers will be able to help you find the right carat weight to bring your design dreams to life. We love that each stone is flawless. Every one will take her breath away when she sees the finished design. Because it is perfect. Both for her, and forever. We’ll help you choose the right stone to fit with your design, whether it is a Nexus Diamond or a True Grown Diamond. At the end of the day, it will be completely beautiful and completely true to who she is. Some of our customers prefer to use our True Grown Diamonds. 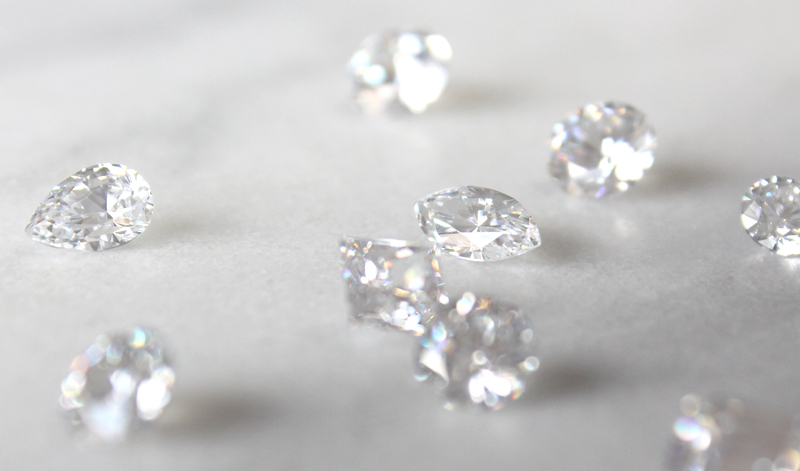 These are 100% carbon, lab-grown diamonds. These diamonds do have flaws and imperfections, but are guaranteed to be eco- and ethically-conscious. I purchased both a custom engagement ring and a custom band to match. I had the most awesome designers. They really captured my thoughts! I absolutely love the pieces, which I had made about 1 year apart...using 2 separate designers. Missy E. was great through the entire process and responded promptly to every inquiry. I would absolutely recommend Forever Artisans! Great experience and awesome quality!!! Hello, I have seen your website and looked around on it. I now see that your diamonds are man-made. 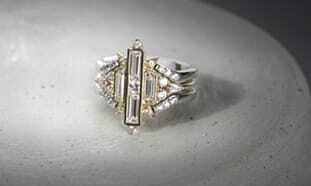 I have considered this for a long time and feel that I want natural diamonds in my ring. Is that something you can get behind or should I look elsewhere for someone to make my ring. My next question would be, if you are able to put natural diamonds in my ring, how are they picked out? I do have some knowledge of diamonds, but also know that web based companies charge a WIDE range in cost for the same graded diamond. That is my real concern with having a web based company make my ring. I assume you can make a ring in white gold, can you also make a ring in platinum? What is the value of a man-made diamond anyway? Diamond Nexus response: Hello Wendy! Thanks for reaching out! We do not offer mined diamonds in our pieces; if you have an heirloom piece that you'd like to have re-set in a new piece, we can do that, but we do not sell mined diamonds. If you decide you are interested in our diamond simulant jewelry or rings, we can certainly make it in white gold or platinum. As far as value, manmade diamonds are the same as mined diamonds other than where it comes from, so the value would be quite similar. Our diamond alternative stone is chemically different but looks, wears and feels like a diamond, which is why they are quite a bit less expensive than diamonds. Hopefully this helps with your decision! Is it possible to have the diamonds or other stones cut in rare shapes (e.g. stars, hearts, or flowers)? Hi Amy! We do offer our stones in heart cut for many rings and fine jewelry pieces! Do you do wedding bands that match the engagement rings? Forever Artisans response: We sure do, Karen! It is the same process as designing an engagement ring. I have a ring I purchased from you this year. I am disappointed in the size that I purchased. I s it possible to exchange it and purchase a larger size stone? Diamond Nexus: Depending on when you purchased it, you still may be able to use our 30-day exchange policy to get the larger stone. For all of your options, please call our customer service team at (800) 509-4990. I hear you loud and clear, and am mesmerized by Diamond Nexus. I am also saving money to purchase my favourite ring. I've even dreamed about it!